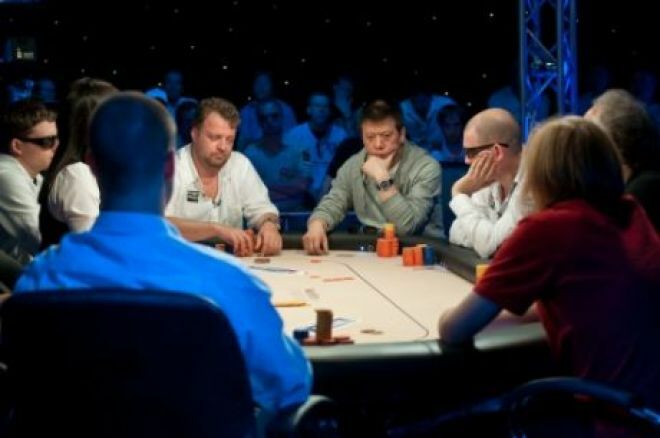 Poker players today are, as a general rule, playing a more aggressive style than a couple of years ago, with many pots in cash games and tournaments being three-bet preflop. By their very nature, three-bet pots are larger than standard pots in which there has only been a single raise and call. Because of this fact, mistakes made in three-bet pots are more costly and damaging to the player making them. One of the biggest mistakes players make in three-bet pots is calling too lightly when out of position after they have opened the betting. It is almost like they cannot let go of their cards if they have made any sort of initial financial investment during the hand. The truth is, most players three-bet a much tighter range than many would like to believe. That means a lot of hands that you would make that opening raise become unplayable or at least unprofitable to play once you have been three-bet and face continuing the hand from out of position, especially when you are 100 or more big blinds deep. For example, say you open the betting from middle position and the button three-bets you. Many instinctively will respond with a call once the action comes back around to them, sometimes motivated to do so by favorable-seeming pot odds and/or suspicion that the button reraiser is making a move. There is a misconception, though, that everyone three-betting — especially with position — does so with a super-wide range. This simply isn’t the case. Of course, there are players who three-bet a wide range of hands and on a regular basis, but until you have legitimate reasons to peg someone as a lunatic it is better to assume they’re three-betting tight. This means that we should therefore probably be folding any hands that we can’t four-bet for value, which are fewer hands than you think. Our equity with a hand as strong as against the opponent’s three-betting range is worse than you would like to believe. Even if our opponent is getting out of line with , we are in a coin flip. And if they are reraising with a range that includes +, -offsuit+, and -suited+, then our tens are an underdog with only 43.8% equity. If we’re considering folding pocket tens when facing the prospect of playing a three-bet pot out of position, then we also need to think twice about calling with lower pairs ( through ). Knowing that these hands will likely be difficult to continue with after the flop from out of position, we might well consider abandoning them to three-bets as well. Of course, against some players you can call three-bets out of position. But if you want to stop bleeding chips on a regular basis (and if you play most of your poker in low-stakes cash games), then you could do much worse than never calling three-bets out of position. If you do call, most of the time you’re going to be check-folding whenever an ace, king, or queen flops, and even if one of those scare cards doesn’t flop, your opponent is going to be able to make your life miserable by dictating how the hand plays out.